Over the years, COASSTers have recorded 178 species, ranging from murres to macaws! Focusing on the marine birds (that is, throwing out all of the terrestrial species that wash in from time to time) 30% of the 122 remaining species are those with a total count of less than four individuals. Arranging COASST species from common to truly rare creates a “classic” long- tailed distribution. While thousands of COASSTers over the years have found one or more of the top-5 species, almost no one has found more than one of the bottom-37. 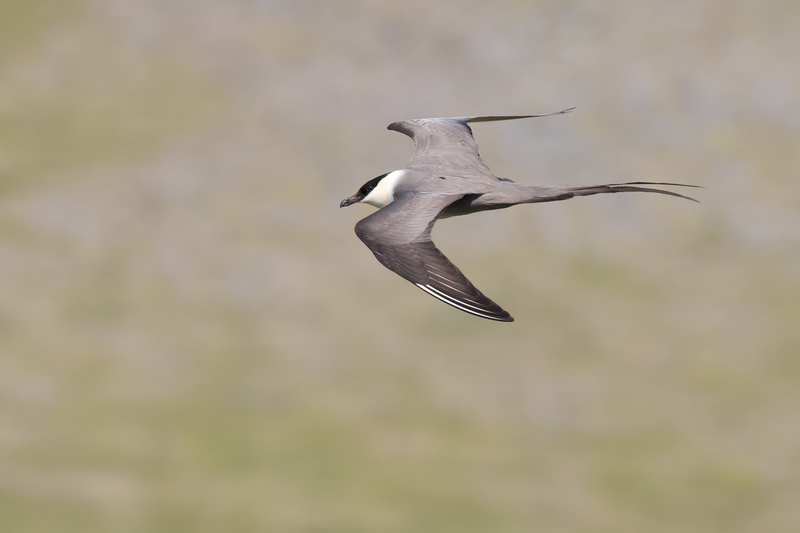 We’ve highlighted four of those rare species, including #101 – the Long-tailed Jaeger. The lower box highlights the “tail of the distribution” – the rare species not even visible in the top graph. This “distribution” of species found by COASSTers – a few are common and many, many more are rare – was “discovered” by Vilfredo Pareto and is typical of lots of different types of data: the size of meteorites striking the Earth’s atmosphere, areas burnt in forest fires, the amount of rain falling daily in Seattle, and even the wealth of a population (hence the “Pareto principle” – 20% of the people control 80% of the wealth). In biology, some species are abundant, while others are rare (and note that this pattern was the “rule” even before humans began to exert an influence over the Earth’s biodiversity). What’s up with rarity? Why does the distribution curve have such a long tail? 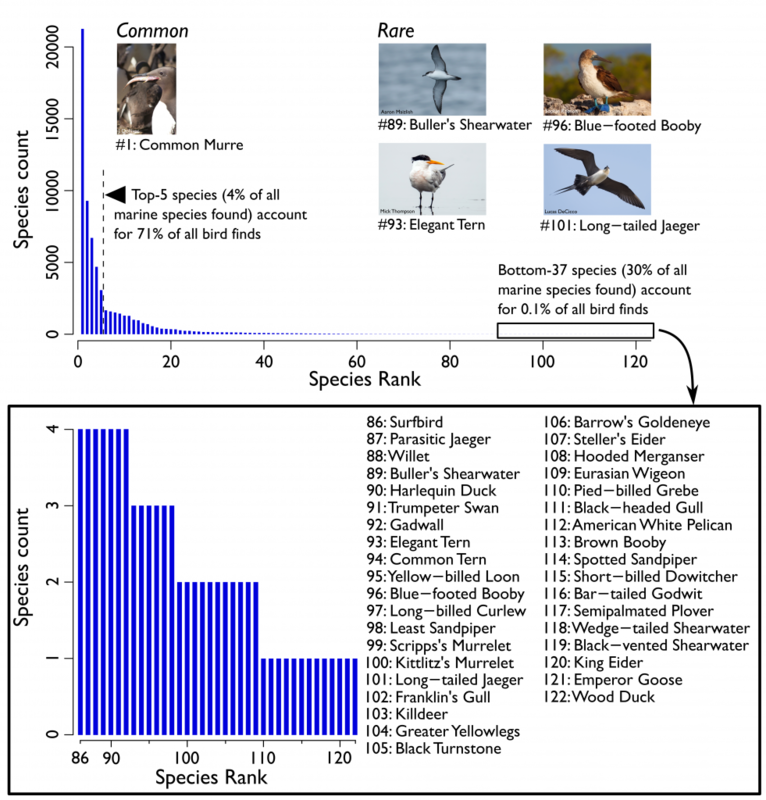 It turns out that the number of rarely found birds is so high in the COASST dataset for a variety of reasons, mostly related to how long and how many beaches COASSTers have been surveying, and also to the natural history of the birds and the year-over-year environmental conditions. In this blog we explain some of those reasons. In future blogs, we’ll focus on individual rare species, giving you a window into the tail of the curve. Sampling in Space: COASSTers have surveyed a lot of beaches. In the past year alone more than 440. Having a large number of beaches ups our species number in two ways. First, a lot of territory means we cover the natural ambit of more species (consider all of the new species added when COASST expanded to Alaska). Second, each beach we add to the program increases the probability that we’ll bag a new species. Sampling in Time: COASSTers have also been surveying a long time. On any beach, there’s a (vanishingly small) chance that you’ll come across a rare species. Like the lottery, you’ve got to keep playing to win. And COASSTers keep playing!! On Hobuck Beach (212 surveys and counting! ), COASSTers have found 65 species, including 7 rare ones (<10 finds over all of COASST). However, on the first 10 surveys only 7 species were found, none of which were rare. Natural History: Some species are simply more numerous than others. What’s interesting about this is that abundance in life doesn’t necessarily translate into beached bird abundance. Smaller, offshore birds – even if they are numerous – tend to be rare on the beach (think shorebirds or storm-petrels). Of course, some birds – like the Short-tailed Albatross – are rare in both life and as beached birds. The Effects of Weather and Climate: Since COASST started in 1999, we’ve seen quite a few wonky years. 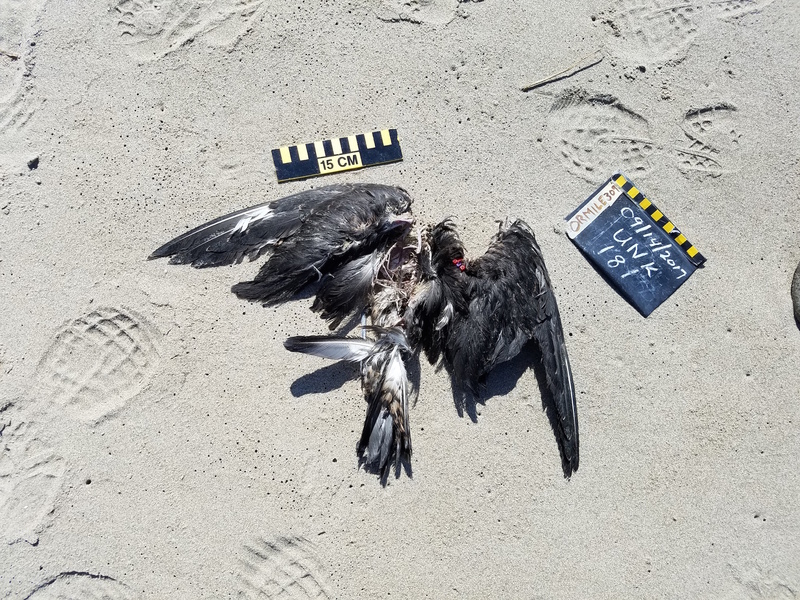 In the short-term – over any one season or year – El Niños or even just super-stormy winters will up the probability that marine birds will succumb to environmental extremes and wash ashore. Two of the three Blue-footed Boobies in the COASST database were found within a week of each other, likely pushed north and to shore by a storm system. Phenomena like the recent marine heatwave (aka “The Blob”) changed the distribution of zooplankton and fish prey throughout the entire North Pacific, and greatly stressed many marine bird species, with increasing numbers of beachcast carcasses, including rare species. Distribution Shifts: Over the short-term, the effects of weather and climate patterns can cause live birds to move inshore, greatly increasing the probability they will float to shore. During the Cassin’s Auklet mass mortality event of 2014-15, COASSTers also found much rarer small Alcids, like the Scripp’s Murrelet. Over the long-term, species extend their ranges to new territories as conditions change. This can even result in bringing new species into the COASST geographic range. Hotspots: Some places are more birdy than others, including collecting more rare birds. The Columbia River plume – the river of freshwater jetting out into the Pacific – attracts lots of birds, including rare ones like albatross. In the coming months we’ll be blogging about some of the rarer species in COASST – their natural history, who found them where, and some sense of which of the many rarity factors above resulted in their appearance on COASST beaches. And in the meantime, let us know if you find a rarity on your next COASST survey! I am intrigued by the mixture of common local species with rare to occasional vagrants among the least reported on your graph above. Do you have any ideas about why COASST rarely turns up birds like sanderlings, when they are so numerous along the beaches?